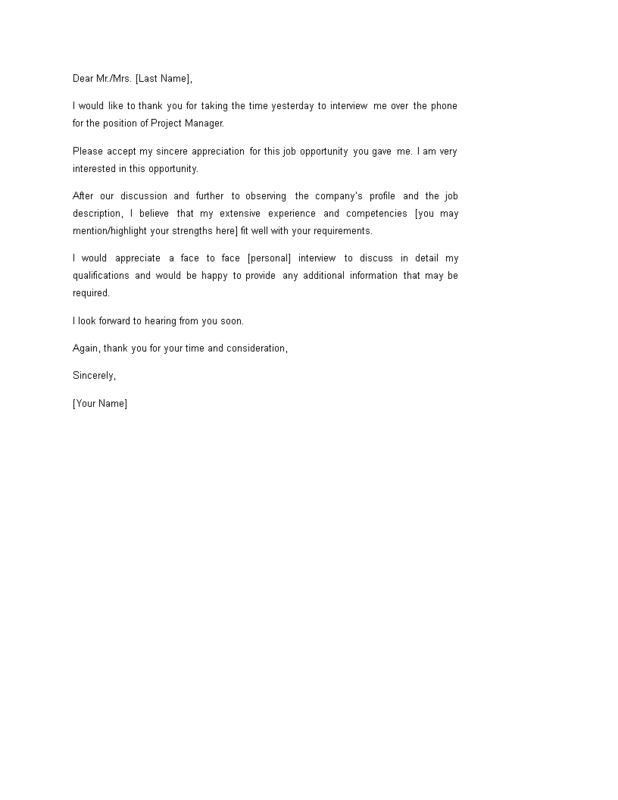 Do you want to send a professional Thank you note to follow up on your phone interview? ...and you don't have it crystal clear what you want to say? If you have a good feeling about the interview, and you would like to thank the person you spoke to in the interview, it can't hurt to send a nice message via email to him or her. Download our Thank You Message After a Phone Interview right now!